All prepared for your next trip? Make sure you don't miss out on any fun in Cranston by knowing some details about it before you take off. Cranston is a neighborhood in Providence, the state capital of Rhode Island. It's about 5 miles (8 kilometers) to the southwest of the center of town. Last time they counted, the population of Providence was 180,000. Securing a package deal via Travelocity is the best way to save cash on your getaway to Cranston. And also, you can pick from more than 400 partner airlines and 665,000 accommodation options. Our Customer 1st Guarantee gives you the added security of 24/7 personal assistance on everything from accommodations and flights to rental cars and experiences. If you happen to come across a cheaper price on a different site, we will return the difference^. Don't you wish you had some freedom in your vacation plans? Our package deals can be revised with no nasty fees. And as long as you get in fast, many accommodations don't charge fees either^. Unfortunately, there are no places to stay right in the center of Cranston. If you want easy access to this locale, we have 35 properties a little further out. Book your room today so you don't miss out. Cranston has several enticing options to take your pick of. The Providence Marriott Downtown (1 Orms St) and the Renaissance Providence Downtown Hotel (5 Avenue of the Arts) are among our favorites. Where do you fly into for Cranston? Airfares booked to Logan International Airport (BOS)? Clear security, exit the terminal and you'll be 50 miles (80 kilometers) to the northeast from the heart of Cranston. Can I rent a car in Cranston? Book a rental car via Travelocity and get to know Cranston at your own pace. Flying into this destination by plane? Arrange to pick up a vehicle at T.F. Green Airport. Enterprise is a good choice here. Payless is also worth checking out. Sitting 3 miles (5 kilometers) for the downtown area at 650 Bald Hill Road is Budget. Head there and you'll be out and about in no time! Few things give us a tangible look into former times quite like old houses. Why not join a tour around Governor Sprague Mansion and find out what went on under its roof? Want some more close by options? It doesn't matter whether you're trying to hit a hole-in-one or simply in the mood to have some outdoor fun, you're sure to have a ball (pun intended) at Mulligan's Island Golf and Entertainment. But that's not all there is. Body wash, shampoo and a toothbrush are some of the items you need when on vacation. But — if you forget your toiletry bag, you'll probably find what you need at Garden City Center. Pontiac and Miracle Mile of Shopping are well worth visiting while you are in Cranston. Pontiac is 2 miles (3 kilometers) away, and Miracle Mile of Shopping is 3 miles (5 kilometers) away. Situated near the airport, this hotel is 0.4 mi (0.7 km) from Garden City Center and within 3 mi (5 km) of Mulligan's Island Golf and Entertainment and Governor Sprague Mansion. Miracle Mile of Shopping and Warwick Mall are also within 3 mi (5 km). 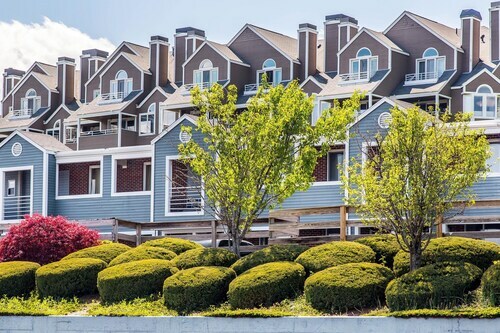 Situated in Cranston, this apartment building is within 3 mi (5 km) of Garden City Center, Roger Williams Park Carousel Village, and Governor Sprague Mansion. Museum of Natural History and Planetarium and Roger Williams Park Zoo are also within 3 mi (5 km). 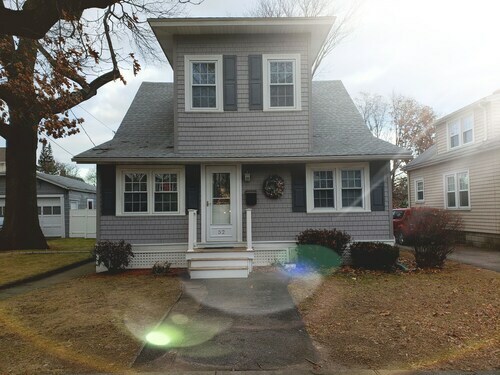 Situated in Cranston, this historic property is within 3 mi (5 km) of Miracle Mile of Shopping, Warwick Mall, and Launch Trampoline Park. Mulligan's Island Golf and Entertainment is 3.1 mi (4.9 km) away. 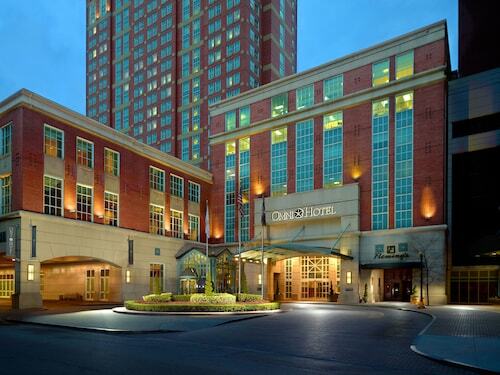 Connected to the Rhode Island Convention Center and Providence Place Mall, this downtown hotel is within one-quarter mile of Waterplace Park, the Providence Performing Arts Center, and the Dunkin Donuts Center. 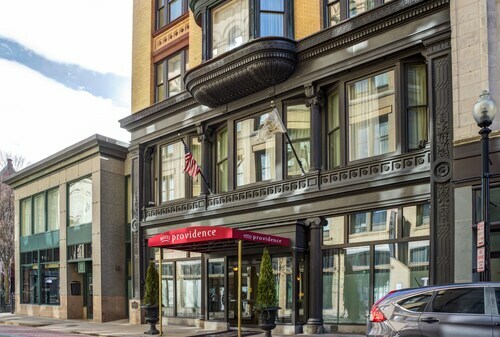 Located in Downtown Providence, this hotel is within a 5-minute walk of Providence City Hall and Rhode Island Convention Center. Providence Performing Arts Center and Providence Place Mall are also within 10 minutes. Providence Station is 8 minutes by foot. Situated in Warwick, this hotel is within 3 mi (5 km) of Lincoln Park Cemetery, Warwick Museum of Art, and Miracle Mile of Shopping. Warwick City Hall and Warwick Mall are also within 3 mi (5 km). 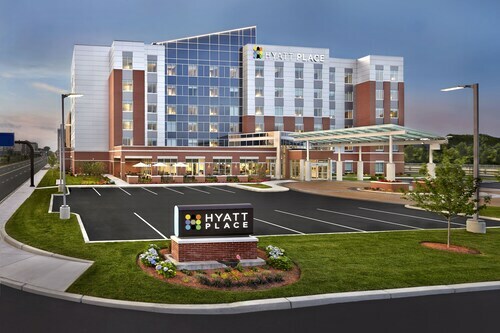 Situated near the airport, this hotel is 1.1 mi (1.8 km) from Lincoln Park Cemetery and within 3 mi (5 km) of Warwick Museum of Art and Warwick City Hall. Miracle Mile of Shopping and Warwick Pond are also within 3 mi (5 km). 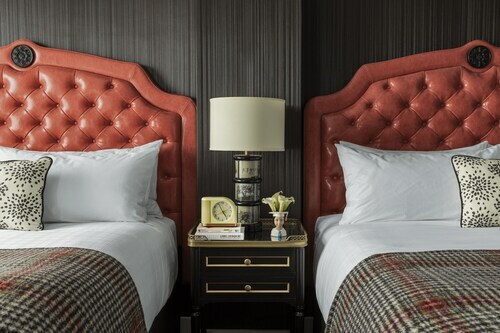 This hotel reigns over the city's Arts and Entertainment district, a neighborhood graced with myriad shops, restaurants, and theaters, that is listed on the National Register of Historic Places.